The third installment in Telltale Game’s Tales From The Borderlands series feels like a slight tonal shift. Similar to past episodes there is a definite focus on goofy, Borderlands-esque humor and hijinks but it also goes to a more sentimental and serious place at the same time. As the characters get to know each other better, everyone starts to meld and relationships begin to form that drastically up the stakes when things go bad which, naturally, they always do. This time around our group of protagonists reveal a secret Atlas base as they try to figure out the mystery behind the Gortys Project. This new base uncovers a hidden land filled with beauty and wonder unlike anything ever seen before in Borderlands. It’s this shift to this world of fascination that ushers in softer, kinder moments between protagonists and events that will actually get your heart racing in dread. This is what Telltale does best and “Catch a Ride” does a fantastic job in this area. I’ve praised past episodes in how well Tales from the Borderlands captures the feeling of playing a Borderlands game, and this strong effect is still present. However, the stuff you experience in “Catch a Ride” feels less like retreading old Borderlands tropes and more about visiting new sights, all while still feeling like a trip to Pandora. The opening credit sequence is absolutely fantastic and the trip to the mysterious Atlas base provides a nice new setting to experience. Tales from the Borderlands also starts to show more of an emphasis on player choice than past Telltale properties. The ultimate choice at the end of Episode Two will distinctly change the experience of Episode Three, something that has been played with before but never to the extent that I’ve seen in “Catch a Ride.” Major events play out differently, who you control in certain sections changes and even the personality of some characters change all based off of your decisions in the last episode. Ultimately, it’s the same overall plot but the difference between both paths is more pronounced than ever before. 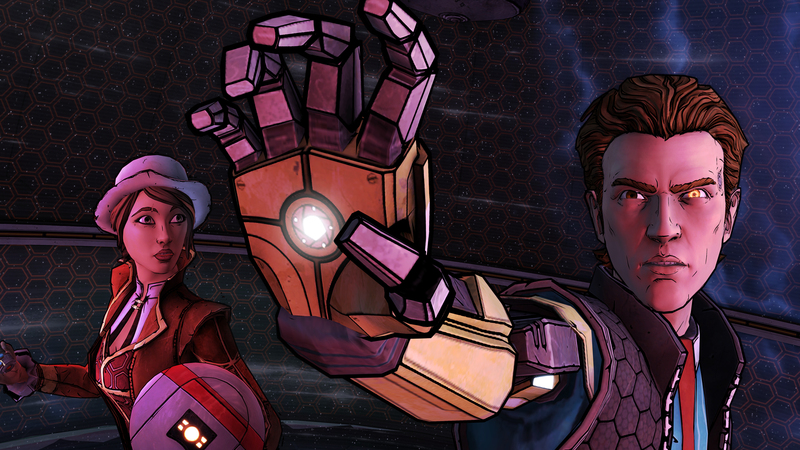 Telltale continues to impress with Tales from the Borderlands, with each episode improving on the previous. The stylistic setting and emphasis of choice shows that there is room for evolution in the tried and true Telltale formula. Plus, despite having roughly the same adventure game formula for years now, the characters, story and style they create continue to keep you begging for more. 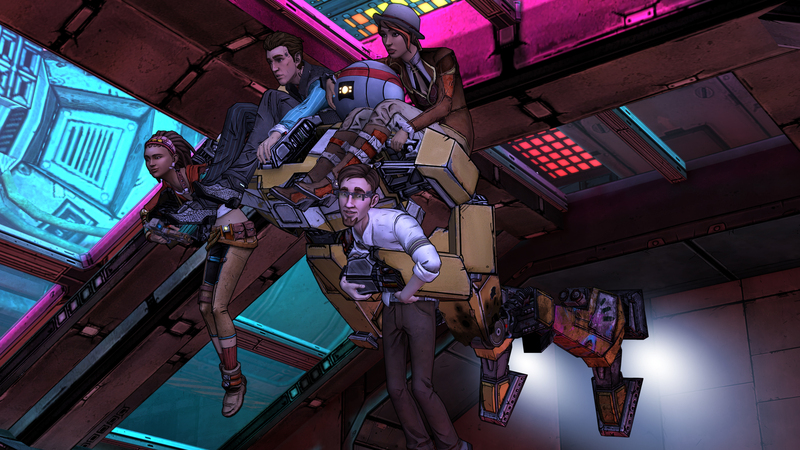 A code for Tales from the Borderlands: Episode Three– Catch a Ride was provided to Pixel Related for this review. Tags: Catch a Ride, Tales From The Borderlands, Telltale Games. Bookmark the permalink.